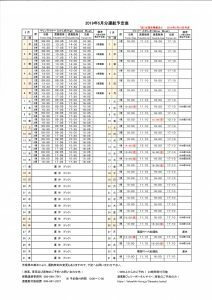 All customers are able to make a reservation for both Ferry Tokashiki and Marine Liner Tokashiki online. Please click the link below to go to the online booking system. ※There is NO ATM near Aharen beach. Please make sure to take enough cash with you. 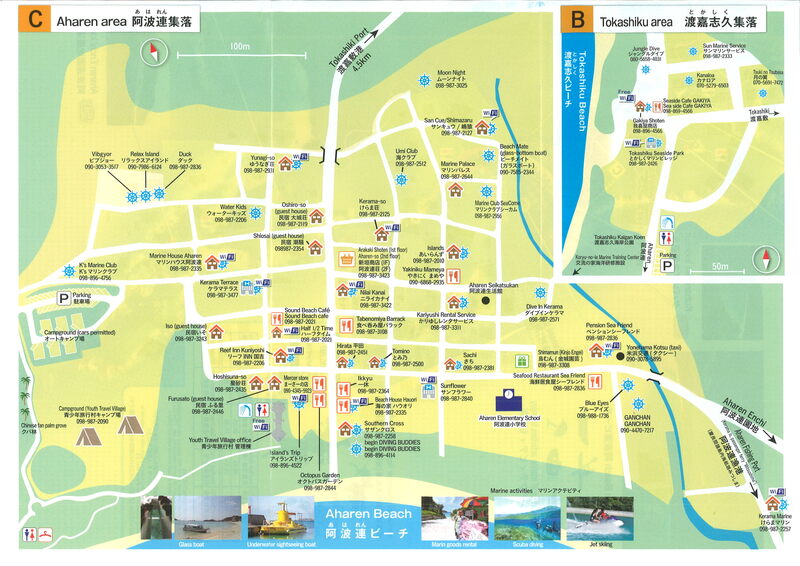 There is one ATM at Post office(map) in Tokashiki island. Opening hours : 8:45～17:30 Mon-Fri, 9:00～17:00 Sat, closed on Sun and Public Holidays. 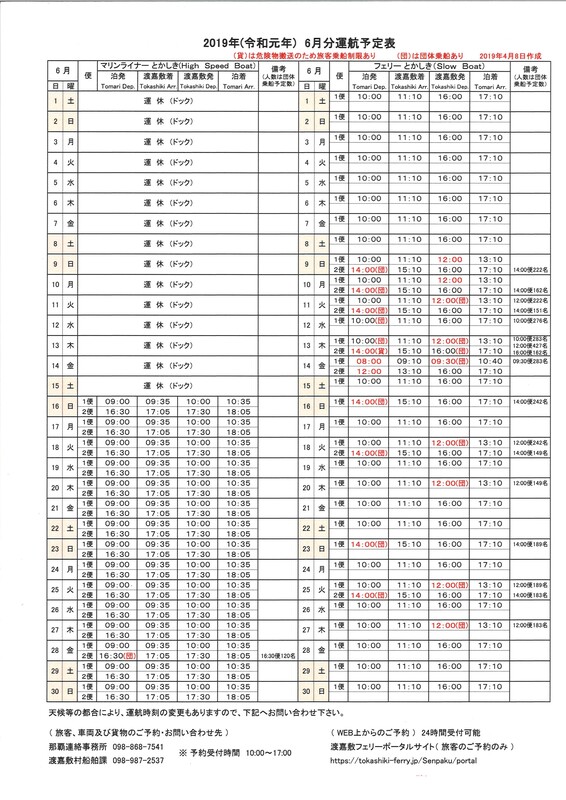 ※Especially during Golden Week (from the end of April to the beginning of May) and Summer season (from June to October), the ferries get very crowded. Therefore, reservations are strongly recommended during the seasons mentioned above. If you do not have a reservation, you might not be able to ride the ferry. Please go to our online booking system or contact us to check the availability of ships you wish to board. Since we have a lot of visitors going to Tokashiki island during summer season and it takes time for you to buy your tickets, we encourage all passengers to come to the ticket office one hour before your departure time. Marine Liner Tokashiki: Boarding starts from 30min before departure. Ferry Tokashiki: Boarding starts from 60min before departure. The North Landing ticket counter will only open 1 hour before departure. 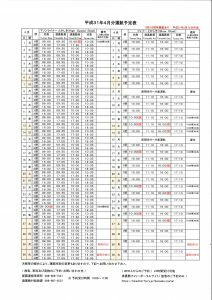 Sometimes we may change the timetable due to rough wave conditions (typhoon, strong wind, big swell, etc.) We update sailing status at 8:00 A.M. every morning. Please check our website on the day you travel. Reservations can be made online(24Hours), over the phone(10：00-17：00) or by fax. We accept reservations up to 2 months before your departure. When you come to the ticket office, please fill out a boarding application form first (even if you have a reservation) and then submit it at the counter. Please try to arrive at the ticket office one hour before your departure time to buy your tickets since we have a lot of visitors going to Tokashiki island (especially in the morning). An online booking system is available. All customers are able to make a reservation for both Ferry Tokashiki and Marine Liner Tokashiki online. Please click the link below to go to the online booking system. The timetable can sometimes be different to what is listed below, so please make sure to check the Monthly Timetable listed above before you come to the ticket office. Also, departure time may be changed due to wave conditions. Please check the time schedule at 8AM on the day. Thank you! Season Ship No. Tomari Dep. Tokashiki Arr. Tokashiki Dep. Tomari Arr. 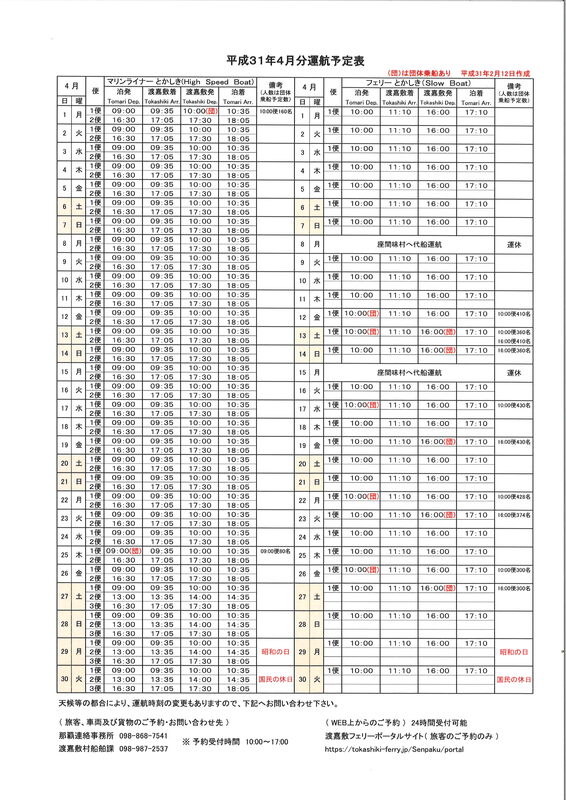 ※The Schedule of Marine Liner Tokashiki has been changed for summer 2019. ※Disability discounts are only available for passengers who can present a disability certificate issued in Japan. 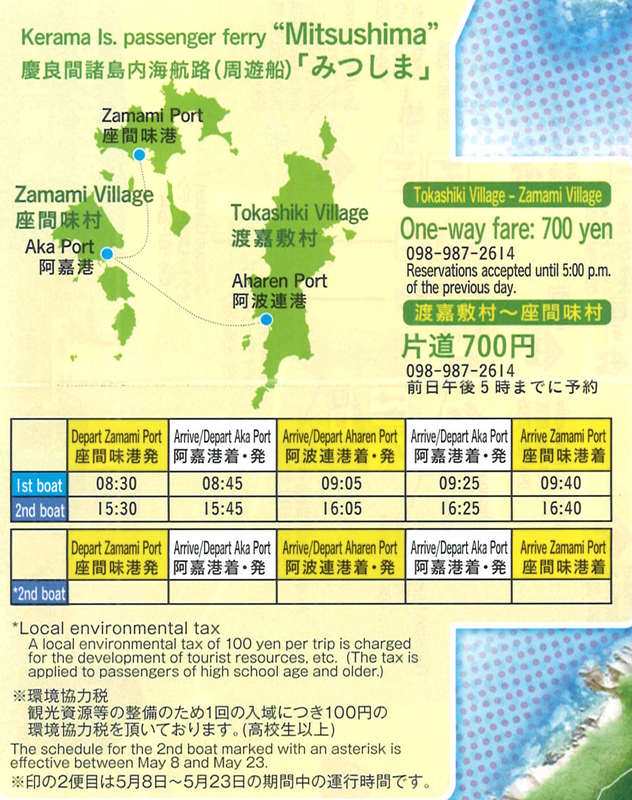 These fares include the ferry ticket for the driver, as well as environmental support tax (100 yen). The reception for vehicles is outside of Tomarin building and inside of the ferry port. Please be there at least 1 hour before departure with your car registration. 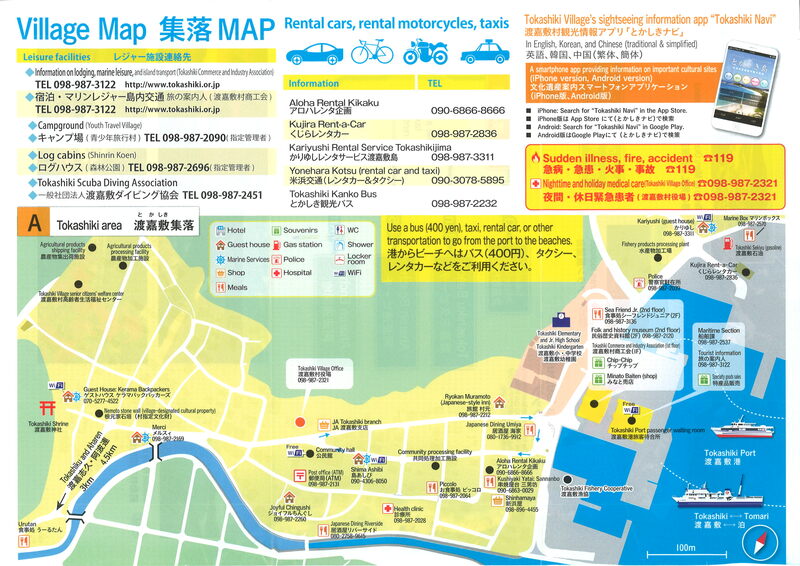 ★ Reservations are required for vehicles other than motorcycles and bicycles. If you want to take your car to Tokashiki Island, please call the Tokashiki Village Office on 098-868-7541 or FAX 098-862-2115. It is not necessary to make a reservation to take your motorcycle or bicycle onto Ferry Tokashiki. You can not take your bicycle onto the Marine Liner (high speed boat). Passengers only. You can buy tickets from 8:00 in the morning. You can pay by cash or credit card at ticket office at Naha Tomari port and Tokashiki port. Please come to the ticket office one hour before your departure time to purchase your tickets. Please fill out the boarding application form first and then submit it at the counter. ★Even if you have a reservation, please fill out the boarding application form first. 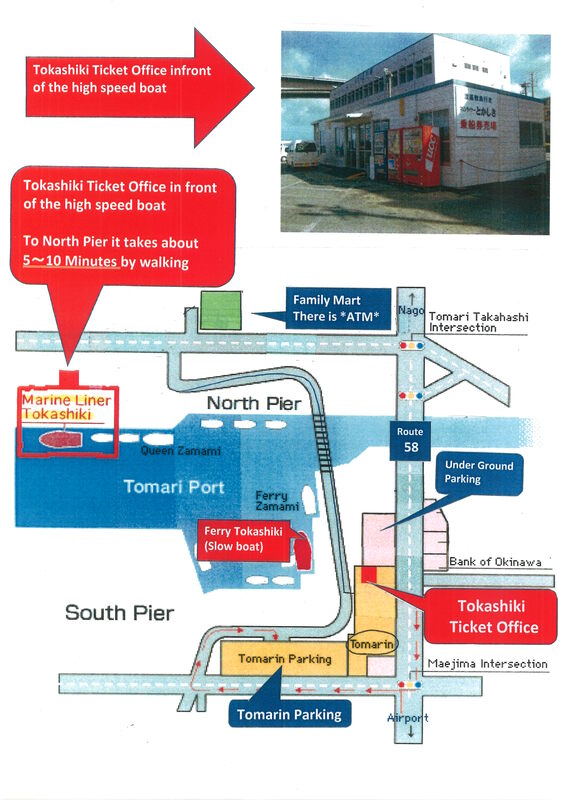 Please note that there are 2 different ships you can ride to get to Tokashiki and back. One is the high-speed Marine Liner Tokashiki and the other is the slower Ferry Tokashiki. If you plan to use different ships to go and come back from Tokashiki, you cannot buy a round-trip ticket at Tomari Port. You will have to buy a one-way ticket to Tokashiki at Tomari Port, and then buy another one-way ticket back to Naha at Tokashiki Port. You can start boarding from 30 minutes before departure time. You can start boarding from 1 hour before departure time. All passengers need to be on board by 10 minutes before departure time. We have unreserved seat only. There are some buses going to Aharen beach, but there are NO buses going to Tokashiku beach. 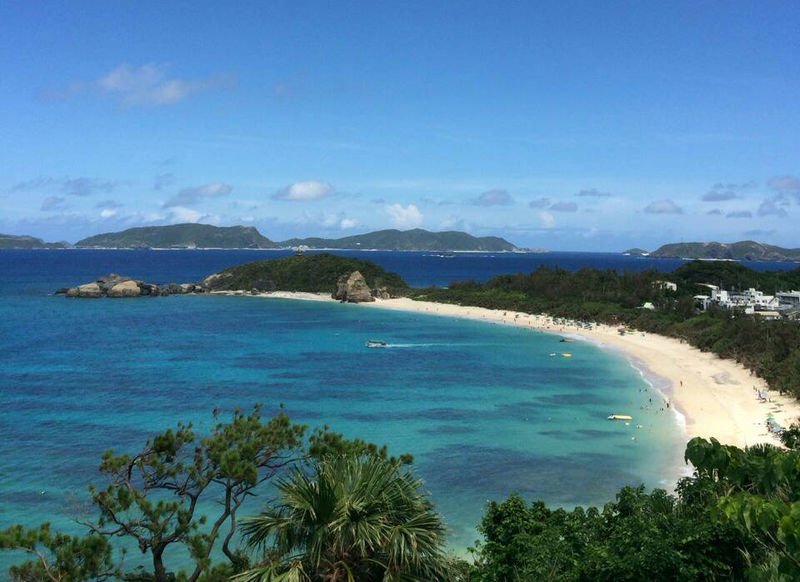 If you want to go to Tokashiku beach, please use a taxi, or rent a car or a motorcycle. For information on rental shops, please click the image below. Most of the shops and accommodation in Tokashiki DO NOT accept credit cards. Please make sure to take enough cash with you. There is NO ATM near Aharen beach. In case of rough wave conditions, the ferry may be cancelled. 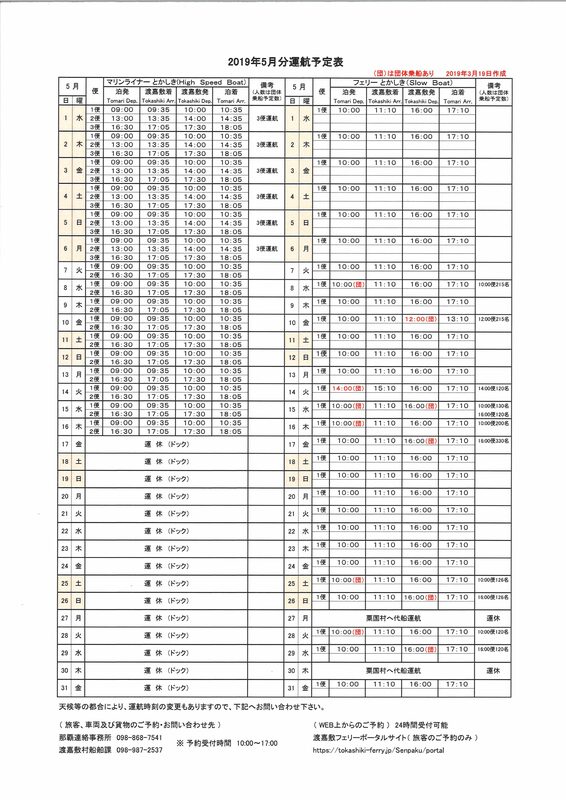 Marine Liner Tokashiki —— If the height of the waves is more than 3 meters. Ferry Tokashiki—————- If the height of the waves is more than 4 meters. 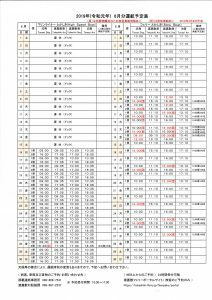 We update sailing information at 8:00 every morning . Please check the ship information on our web site as below. We do not have free parking space for passengers. There is no parking available at the North Ferry Terminal. 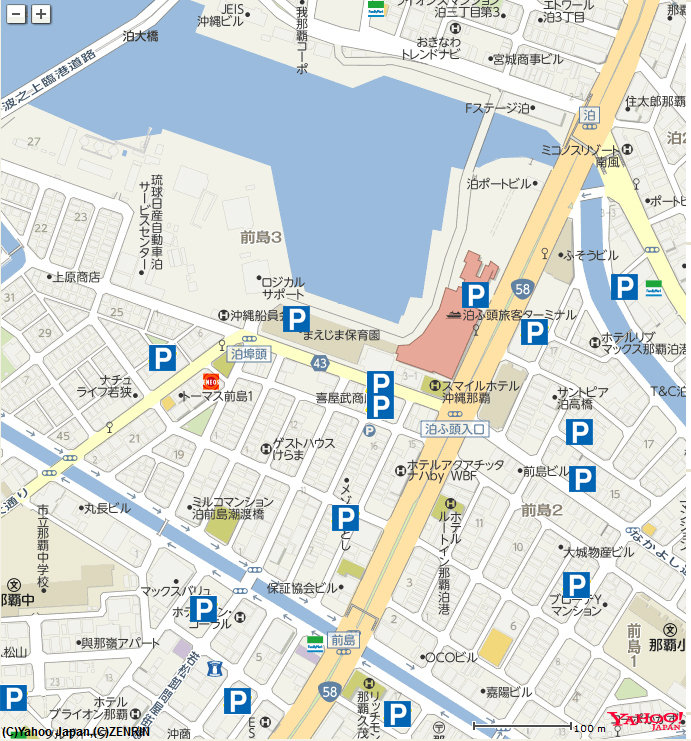 If Tomarin Parking is full, please use one of the paid parking facilities shown on the map below. You can go to Zamami or Aka Island from Tokashiki fishing port by a small boat named ‘Ferry Mistushima’. You must make a reservation one day in advance before your departure. Please call Zamami Village Office 098-987-2614 to make a reservation for Ferry Mitsushima.